I've had the pleasure of working with some of the most delightful people on the planet. We've had a such blast creating art and making memories. From the adventurous Yosemite elopements to more traditional weddings here in Los Angeles, I've loved every minute of it. And my clients loved it too, as you can see from their kind words below. I encourage you to take a look at what they say, then check out my wedding portfolio. If you like what you see, and I know you will. Send me message and we'll turn your love story into art. Working with Norm as our wedding photographer was truly an INCREDIBLE experience. He was super responsive and kind with my seemingly never ending questions. 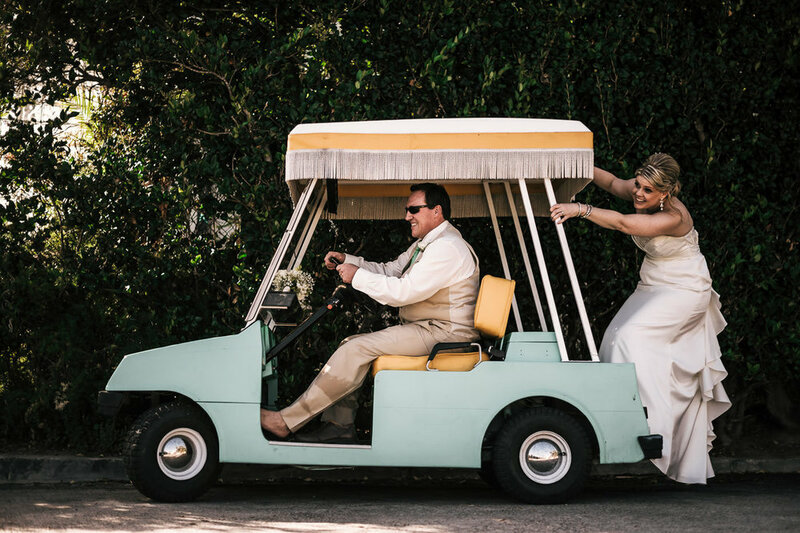 Our wedding day was easy and stress-free in a large part to Norm's friendly personality. As people who don't get usually get professional photos, he made us feel so comfortable and at ease. We got married in Yosemite and he knew all the amazing locations in the park to take us to. I am completely blown away by our photos--they are absolutely stunning and truly captured so many special moments from our day. He delivered the photos in such a special and creative way---We will treasure these photos for the rest of our life. Thank you, Norm! We couldn't have been more happy with our photographs! Norm is truly a wonderful person that genuinely cares about your special day and about capturing all the moments that mean the most. He is professional and delivers above and beyond work. We hope to work with Fifth Photography again! I highly recommend Fifth Photography. I got married 09/16/18 and I absolutely loved Norm's services. He was so patient with me as I had no idea what I wanted. He chose a beautiful place to have our engagement shoot, and he chose great backgrounds for our wedding photos at our wedding venue. He was funny and was so patient with my annoying family! I gave him very minimal guidance and he was absolutely amazing. He captured the most beautiful moments and had our photos ready in about 8 weeks. He gave us a personalized gift when our photos were delivered and it was beautiful! I got a lot of compliments and all of my family and friends were impressed. I made the mistake of not hiring a wedding day coordinator, but Norm did amazing without one. His prices were affordable and he was wonderful. Yosemite elopement shooting with Norm was an unforgettable experience!! I had many requests of the spot for shooting in the park but he arranged perfect schedule and we were totally satisfied with that. Also to complete my request, he worked with us from 4am to around 7pm. It was amazing that he took us to Taft point where it was never possible to reach there without him but the best place to take pictures for elopement photo. 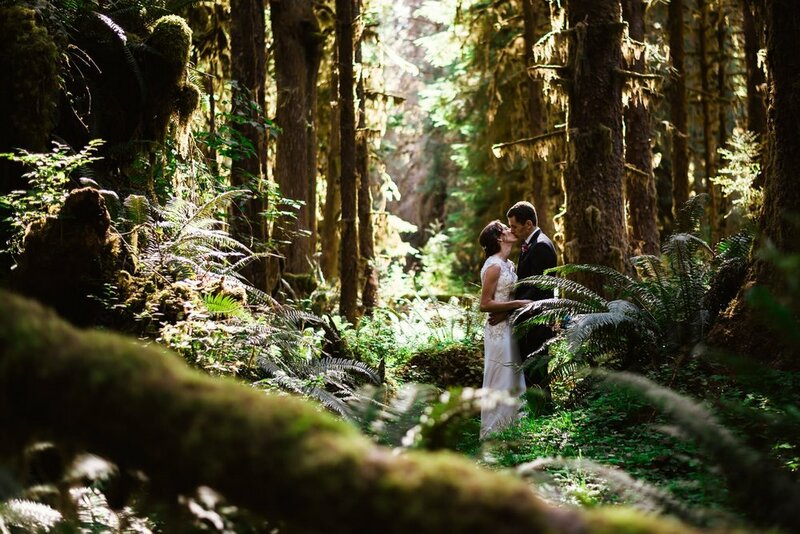 Norm did an amazing job with our elopement in Olympic NP! He traveled without hesitation and helped research places beforehand since the park is huge and made recommendations based on when/where would have the best lighting for pictures. He spent the day before scouting out locations for our pictures and ceremony. It was a small elopement and he was very accommodating when we arrived with a couple more people than originally planned. During the ceremony we hardly knew he was there and are in awe of the pictures he was able to get without us noticing. He stayed with us until sunset, taking pictures at the two locations we had picked out. 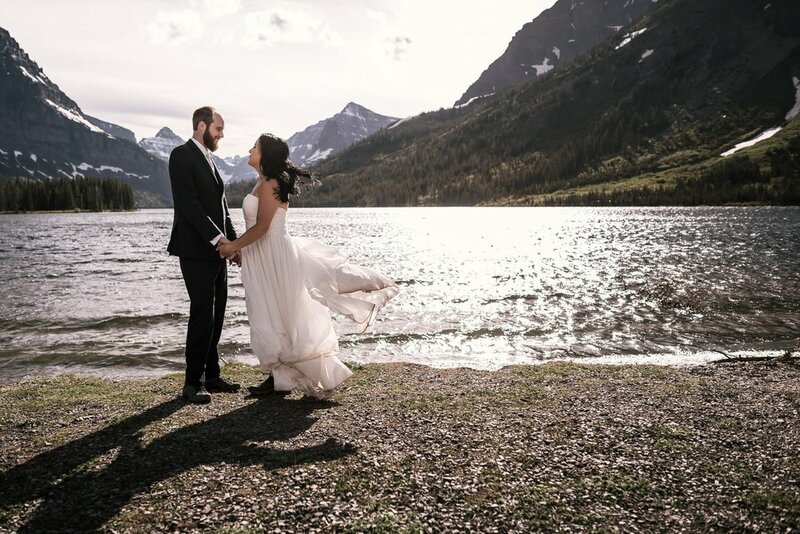 We highly recommend Norm for anyone planning an elopement, especially in a national park!! Norm was the best photographer we could have asked for. We met for our engagement session, discussed styles, he told how to look, where to stand and had great creative direction. For our day he was with us all day, even when things got frustrating with other vendors, he made sure he was doing everything he could to make us smile. He was friendly made all of our wedding party and guests feel comfortable and caught beautiful, breathtaking shots inside and out. He captured our wedding love story and presented it to us with the most endearing card and package. As our family grows, I'm sure we will request Norm to make his magic again to capture the moments. You won't be disappointed! Our big day went by so quick that we were not able to see everyone's reactions or see the small things happening around us. I feel Norman captured the special moments plus some. He is so professional! He made us feel so comfortable. We had asked for a second photographer who I believe was named Raul who was just as nice. I am extremely impressed with our pictures. He did everything he promised he would. I have highly recommend him to anyone. He is extremely creative and amazing. I will with no doubt book him for future events. Thank you Norman for being you! We are forever grateful that we were lucky to find Fifth Photography for our elopement. Our friend Melissa Clark referred him (check our her review too!) to us and we were able to book a date on really short notice. We didn't have a plan and we're very awkward, but somehow Norm created something for us that we'll appreciate forever. He recommended Big Sur as a location for wedding portraits after our ceremony. It was really beautiful! Norm made us feel really comfortable and guided on how how to stand or pose because we had no idea what to do. There are photos he saw the opportunity to create that I never in a million years would have thought of and I'm so, so glad that we have those now. Norm is not afraid to venture to special locations and hike to get there to get the right photos for you. Our final photos are amazing and we love them. He sent a wonderful keepsake box with our wedding date on it and a few of his favorite prints inside with the USB for our photos. It was really sweet and again, something I never would have thought of and really appreciate. We can add other little mementos to the box and it's something we can bring out and show our family. I can't recommend Fifth Photography and Norm enough. Best photographer - hands down! Norman's photos are fantastic! We hired Norman for our wedding back in October. He totally prepared us for our special day - we stressed about nothing. He was professional, fun, and so easy to work with. We highly recommend Norman! Norm Roberts (Fifth Photography) is an amazingly talented photographer who gives a reasonable price, is super friendly, flexible, and who really captures what you’re looking for! Norm shot our engagement shoot as well as our wedding. For our engagement shoot, we wanted a rustic shoot as well as beach photos. Norm captured both beautifully. My husband and I had shared with Norm before our session that we felt awkward in front of a camera, but Norm made us feel so at ease and captures natural, beautiful moments. He doesn’t try to make you do any pose you’d be uncomfortable and is all about ensuring you feel relaxed and enjoy your moment. 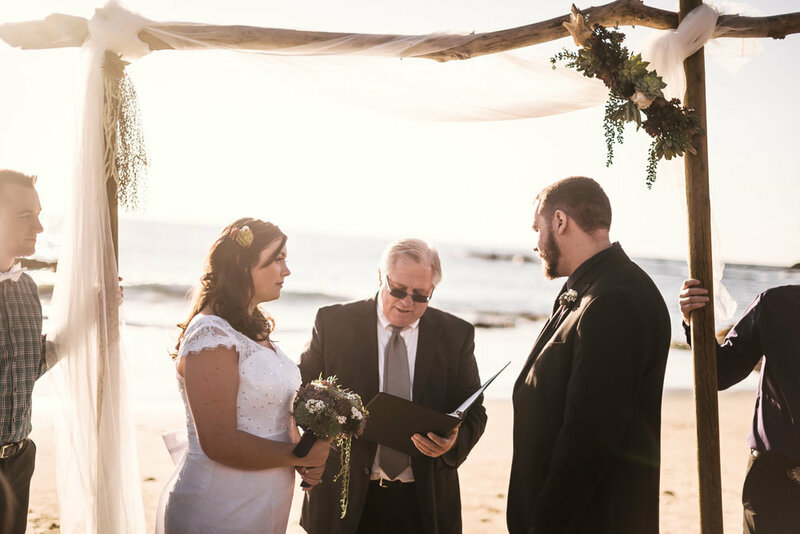 We fell in love with both our rustic shoot and our beach shots, and couldn’t wait for Norm to photograph our wedding day. Norm asked to tour our wedding venue beforehand even though it is quite a drive for him because he wanted to gather ideas and familiarize himself with the location. To us, that was above and beyond. We just received our wedding photos (just a few weeks after our wedding) and they arrived in a beautiful package! They are in a beautiful wooden case with our names and wedding date engraved on top, and we opened it to find a usb with our names engraved on it, some printed photos of his favorite shots, and a thoughtful letter all included in beautiful packaging. When we accessed our photos (you receive them in a password-protected gallery as well as in usb form), we were amazed! 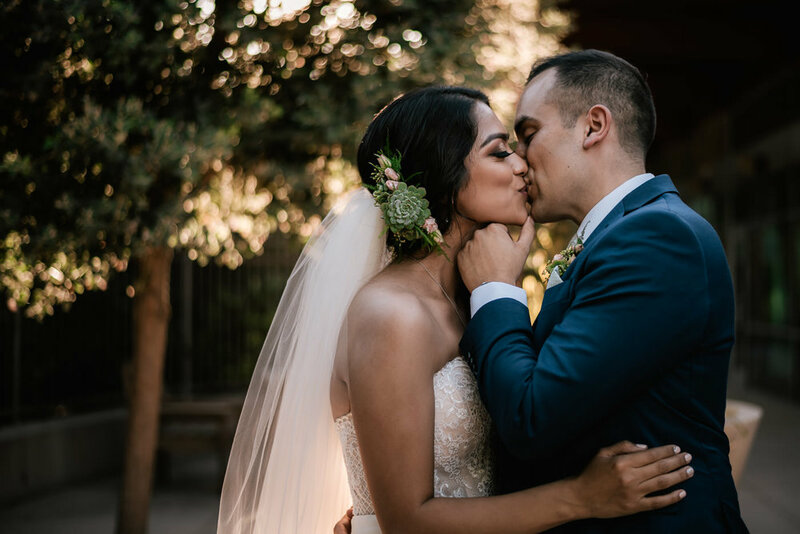 He captured details from our wedding that made for intimate and stunning shots. Close-ups, wide shots, zooms, candids, etc. The pictures were varied and unique and that was exactly what we were looking for. 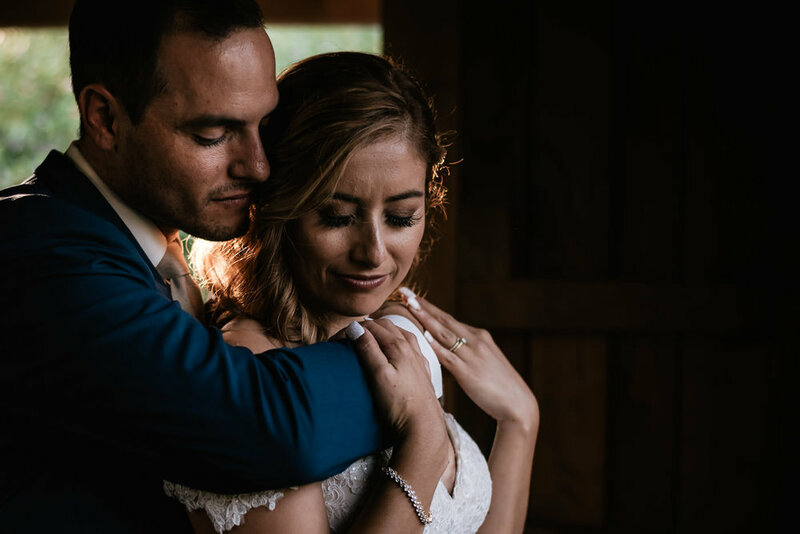 To say we love our wedding photos is an understatement – we purchased an apple tv just to be able to show them to our families and friends in large format, and everyone who has seen them has been impressed by how great they are. If you are looking for a talented, reasonably priced, friendly, and passionate photographer, Norm is your guy. We already had several friends who viewed our photos and asked for his contact information and we will definitely recommend Norm to anyone and everyone we can. He is wonderful!